If you are experiencing a dizziness of lightheadedness, it is likely that one of the first things your doctor will examine is the condition of your inner ears. It is known that an infection in the ear can cause dizziness, and if you exhibit any of the other symptoms associated with this problem, it is likely that an infection is the cause. Understanding the other signs can enable you to recognize when you might have contracted an ear infection and then take measures to treat it. 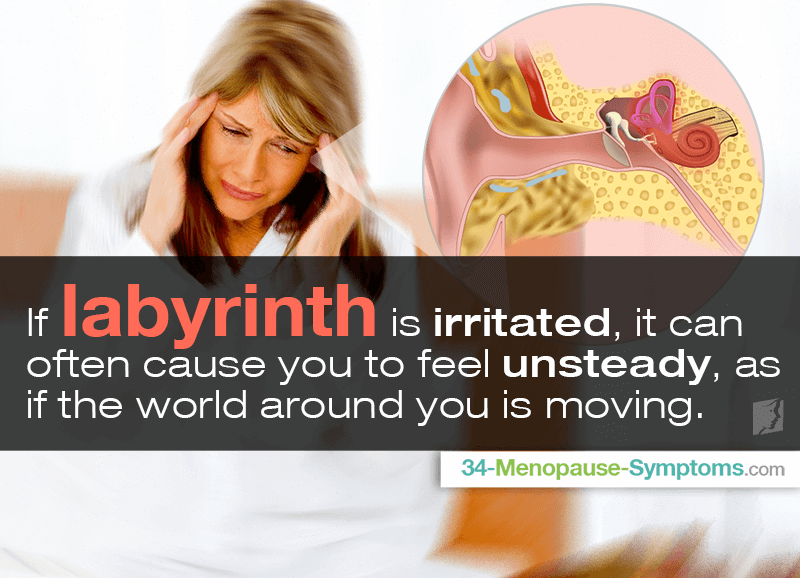 The intricate mechanism that exists in the inner ear is known as the labyrinth, and so when it becomes infected, the resulting condition is called labyrinthitis. Physical balance is greatly influenced by this component, and so if it is irritated, it can often cause you to feel unsteady, as if the world around you is moving. Ear infections can also cause many other side effects, such as loss of hearing, a mild fever, and feeling sick. If you are experiencing these symptoms as well, there are many causes and treatments for the condition. Vertigo. Spinning or whirling sensation, such as a feeling like you or the world is moving, is one of the strongest signs of an inner ear problem. Vision problems. Trouble focusing or tracking objects with the eyes can counter-intuitively indicate an ear problem. Objects or words on a page may seem to jump, bounce, float, or blur or may appear doubled. Difficulty concentrating. Cognitive and attention problems, such as getting easily distracted, may be a sign of an ear infection. Other sensations. Unsteadiness, including finding it difficult to walk in a straight line, as well as feeling faint may occur. Changes in hearing. Ringing noises and hearing loss in one ear may indicate an inner ear infection. Taking rest. This is advised especially if your inner ear infection is causing dizziness. If you feel unsteady or shaky, you should sit or lie still for a period of time until the sensation passes. Essential oils. Herbalists often suggest certain anti-inflammatory and antiviral natural remedies, in the form of oil, which can be diluted and applied to the inner ear using a cotton swab. Garlic and olive oil come particularly recommended. Antibiotics. Some antibiotics may be taken orally. Others can be applied directly to the site of the infection with ear drops. Antibiotics may be prescribed if your doctor determines that the infection is bacterial. Also, the outer ear should be carefully cleaned. That should be followed by the application of anti-inflammatory medications on your ear. Dizziness caused by an inner ear infection can of course be unsettling and irritating, but fortunately - due to the nature of the cause - it is a temporary condition. Armed with some information about its causes and treatments, you should hopefully be somewhat reassured if you are ever affronted with this condition. If you find that you are unable to assuage the discomfort, or if you cannot fight off an infection altogether, it is advisable to visit your doctor to discuss your symptoms. Dizzy spells during menopause can strike at any time, but several factors make them much more likely during the morning. Learn how to stop them here.